The mechanical keyboard's become pretty prevalent in certain gaming circles over the past few years, as more and more people are liberated from their mediocre rubber dome lifestyle. If there's one area that's yet to take advantage of the rise of mechanical keyboards, however, it's laptops. And that makes sense—laptops are on an ever-present quest to get thinner and shed more pounds while gaining performance, which is why most use scissor switches or a modified scissor switch variant. 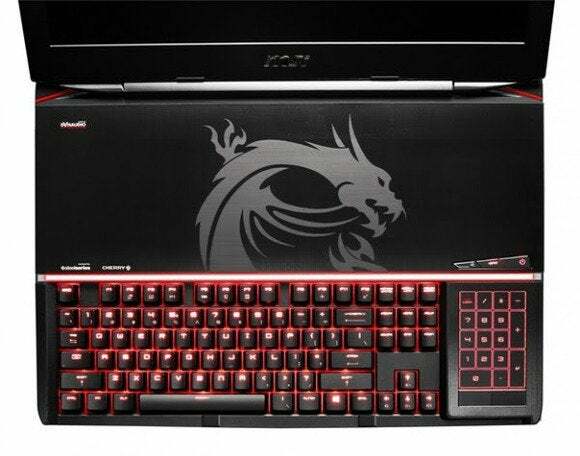 MSI's new 18-inch GT80 Titan laptop has other plans, though. Built into the front of the chassis is a full-sized mechanical keyboard with Cherry MX Brown switches. The keyboard itself is provided by SteelSeries, and the GT80 will come with a modified version of the SteelSeries Engine software to allow some form of keyboard customization. Since Corsair still has a lock on RGB Cherry switches however, I'd guess the GT80 will have simple red backlighting instead of the multicolor lighting SteelSeries is known for. Also, in order to fit the mechanical keyboard into the laptop it appears they've had to sink it a half-inch or so into the chassis, so it may very well be uncomfortable to use, although we can't know one way or the other without getting our hands on a review unit. 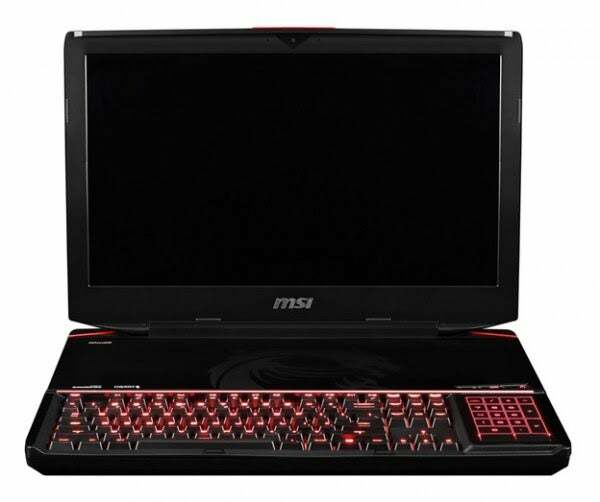 You'd think a full mechanical keyboard would weigh a laptop down, but the MSI press release says the GT80 Titan is "also the world’s slimmest and lightest 18-inch gaming laptop, measuring 17% thinner and 22% lighter than its closest competitor." That's impressive—though you'll note that the very specific claim doesn't actually bring the GT80 toe-to-toe with Razer's slim 17-inch Blade Pro. It's worth noting that MSI is pushing the GT80 based only on this one feature. There are no specs included in the press release, so it's not even clear whether this is a good gaming laptop, apart from the novelty of the mechanical keyboard. Maybe we'll get our hands on one soon.